Finding content when you are racing a deadline, need a filler or are building a website can be difficult. Especially if you want poignant, well written material that you can count on being of consistent quality and are working on a tight budget, explains Nikki. The advent of this new website provides articles and photos across multiple disciplines and offers pieces on One Time Serial Rights, some of which have been published before and some which are fresh to market. You can quickly select articles and photos to accompany them, and receive the material within 24/72 hours via email. After thirty years of equestrian writing for such luminaries in the publishing world as The Chronicle of the Horse and the first ever Dressage publication, Dressage and CT, ( published by Ivan Bezugloff. Jr. who was also a co-founder of the USDF), there are a myriad of topics on which I write. 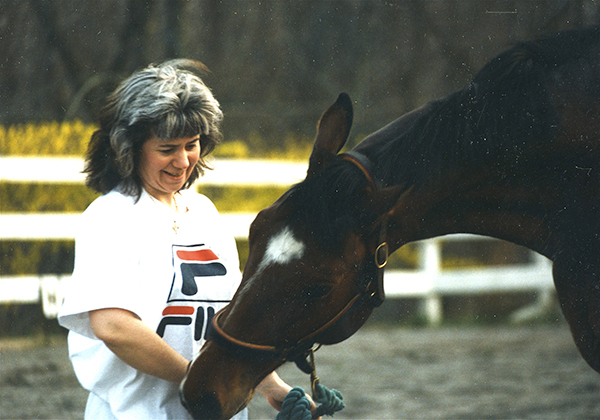 While my recent expertise is as an international Grand Prix dressage clinician/competitor/trainer, my early years encompassed working with top talent in the showjumping and eventing world, prepping horses for the show ring and fox hunting with the Whaddon Chase. As a regular visitor to Spain and Portugal and to the German Elite auctions I offer fun travel inspired equine articles in addition to horse care and training pieces, states Nikki. While the store provides a super one stop shop for content, publishers of any medium are always welcome to request event coverage or articles on assignment. Nikki adds, I hope that everyone will enjoy the works provided and the convenience of being able to shop at the website. There will be new articles posted weekly so please bookmark the site and check back often. Looking for package pricing? Please register for this newsletter to be kept up to date on special promos and discounts and what new features are coming up.